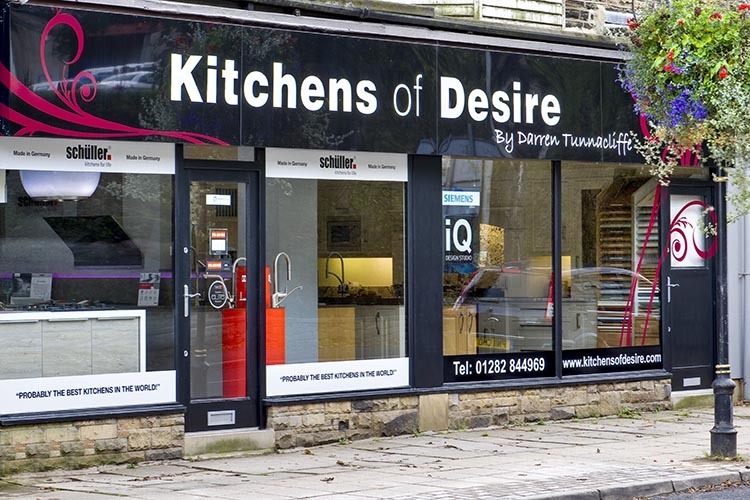 Or why not visit our stunning showroom in Earby. We have a large variety of modern and traditional kitchen displays and the latest appliances from Siemens, Neff, Franke and Quooker. You can even sample a freshly ground coffee from the built in Siemens coffee machine! If you’re too busy to make it to the showroom or you’d like a preview of what we do before committing your time for a visit, why not give our virtual tour a go? Simply click the arrows to guide yourself around the shop and feel like you’re already there!